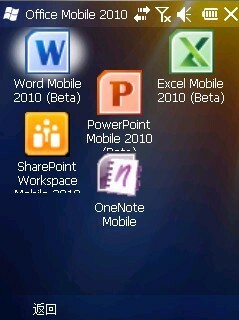 Office Mobile 2010 Beta 发布了!
" When delivering a presentation, your notes are just as important as your presentation itself. Many times you don’t have the luxury of using multiple monitors—one for showing your presentation and another for viewing your notes. With PowerPoint Mobile 2010, a second monitor is always readily available. You can now connect your Windows smartphone to your PC via Bluetooth and easily view your presentation notes—your phone can even be used to advance your slides!"